Our primary goal at ABC Nanny Source is the success of our families! Our customer satisfaction is deeply rooted in that success. ABC strives to offer both families and nannies with a Five-Star “Wow!” experience. 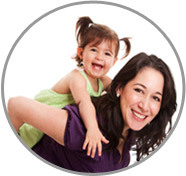 We’ve worked with amazing families and extremely talented nanny professionals for decades. Our Nannies are first-class and the families they are placed with offer some of the most inviting opportunities in the country, especially in the Seattle and surrounding King County area - the Emerald City is simply the best! Please feel free to offer anything that comes to mind regarding our client support! Our portfolio depends on YOU! We are dedicated to improvement and feedback - we cannot grow without it. We cordially invite you to complete our customer survey regarding your experience with ABC Nanny Source. Your opinion matters to us - please utilize this opportunity to let us know how we are doing! We are your extended family and we will always do our best to improve! Thank you!